Exciting news! I'm now a columnist for local magazine Sussex Life! Yep. Every month I'll have a column published in the magazine with a delicious, nourishing recipe included! When I set up my blog in December 2015 I did so as a way to document my journey to a healthy, happy life as I struggled with both a PCOS and coeliac disease diagnosis. I always saw it as a place to document how I was getting on, share my advice and publish my recipes. I never looked at my blog as a business opportunity or that anything would really come of it, but I've come a long way and now I can say I've got a column in a monthly magazine...how cool is that?! Sussex Life is a lifestyle magazine that celebrates Sussex, the county in which I live. It's a big magazine down here, read by many and stocked in pretty much every supermarket, news agents or corner shop in Sussex so having a monthly column is quite a big deal! I'm excited that I get to share my recipes and my love for healthy, clean, delicious eating with more people and having this platform to reach more people is just amazing. 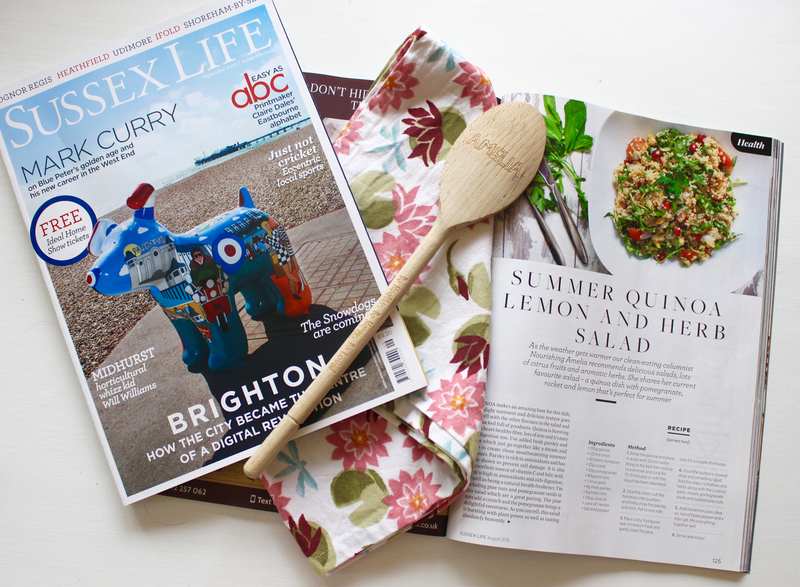 This months issue came out a couple of weeks ago and the recipe is a delicious broccoli & cashew stir fry....go check it out in Sussex Life now!